National Express Group PLC has issued its Trading Update for the Period from 1 July 2016 to 30 September 2016. The Group has continued to make strong progress in the period. Both revenue and profit are up year-on-year in constant currency, with operating profit up 9% in the third quarter driven by particularly strong performances in overseas businesses, through both organic growth and the benefit of acquisitions. Year to date, like-for-like Group operating profit is 5% higher on a constant currency basis and up 12% on a reported basis, boosted by foreign currency movements on overseas earnings and after a significant increase in the c2c franchise premium. The Group is on course to at least deliver its targets for profit, cash flow and gearing for the year. Group revenue is up 11% year to date on a constant currency basis and up 17% on a reported basis, supported by underlying passenger growth across the Group of 3% with total passenger growth of 6%. Group profit before tax is up 9% in the period on a constant currency basis and up 5% year to date, despite a significant increase in the c2c franchise premium. Year to date Group profit before tax is up 15% on a reported basis. Strong revenue growth in North America of 16% year to date on a constant currency basis. This has been driven by a successful bid season which secured an average price increase of nearly 4% across the entire portfolio and a number of acquisitions made over the last year. This performance has been augmented by a successful school start-up. Record passenger numbers in both Spain and Morocco of 225 million in the first nine months of the year, up 7% year-on-year, supporting revenue growth of 6% on a constant currency basis. Our recent acquisitions are performing well and we have also seen strong growth of over 10% on our Spanish airport services, helping to offset continuing aggressive competition from high speed rail. Rail revenue growth up 43% year to date and includes the first time contribution of our German rail operations. c2c has delivered revenue growth of 5% year to date – remaining well ahead of the average growth rate for London and the South East – helped by the continuing success of our off-peak marketing campaigns which have delivered year on year growth of over 10%. 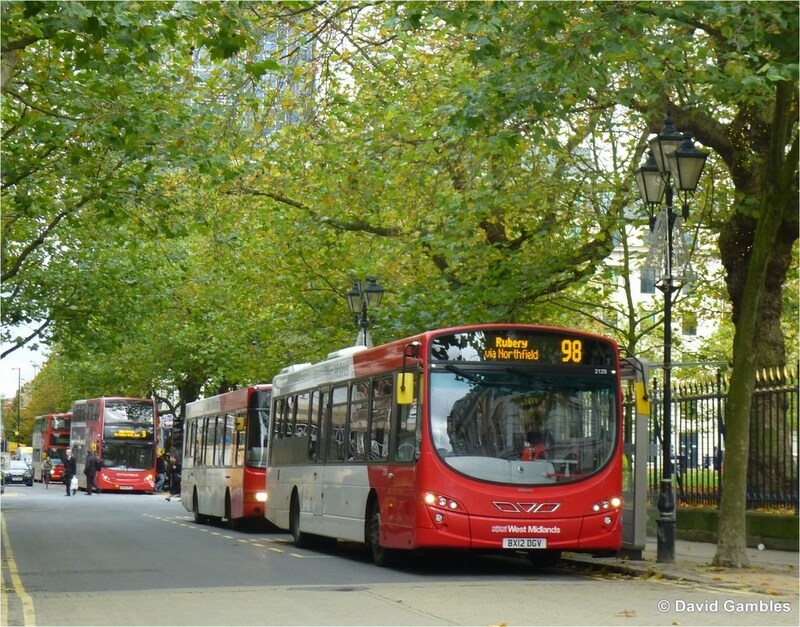 In UK Bus three further ‘Platinum’ routes were launched during the period. Delivered alongside other improvements such as prioritisation measures secured through our industry-leading Bus Alliance with Transport for West Midlands, our 10 Platinum routes have together secured double digit passenger growth, helping to offset headwinds from increased congestion especially, and we will launch a further five routes in 2016. UK Bus won Bus Operator of the Year at the 2016 National Transport Awards. In UK Coach continued strong performance on our airport routes, up 20% year on year, has helped offset strong competition especially from rail discounting and lower demand on Eurolines. Our Bahraini Bus operations have seen continued growth and have now carried over 15 million passengers since the launch of operations in 2015. Our continued investment in new mobile websites and ticketing apps is driving higher online transactions, conversion rates and lowering costs. For example, delivering 40% growth in mobile transactions in our Spanish operation and an increase of over 20% in the conversion rate for UK Coach. Our real-time active revenue management system is now fully installed in our Spanish coach business, and will be fully rolled out in UK Coach by the end of this year, helping to drive revenue, profit and incremental demand in 2017. Our UK Bus division operates the largest regional smartcard scheme, with 10% of all journeys on our buses now transacted through smartcards. UK Bus have also launched mobile ticketing and next year will begin contactless pay, all of which not only provide more convenient payment options for our customers, but will help to deliver faster journey times, a major driver for growing patronage. DriveCam technology has now been fully implemented in our UK Coach business, and is being installed in UK Bus and ALSA. 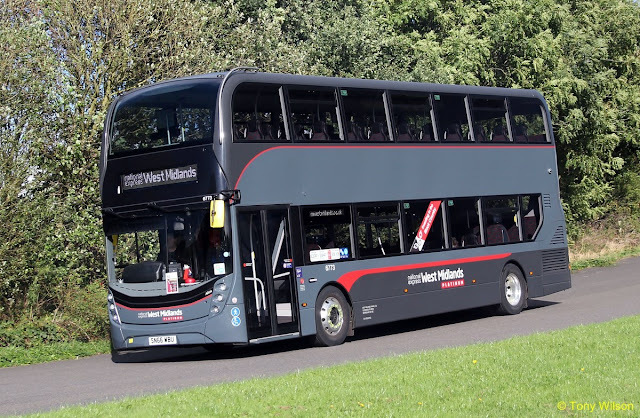 This programme is already delivering a reduction in the number of collisions and associated costs, with annual savings of £0.5 million in our UK Coach business alone. Our priority of raising our safety performance remains and following on from UK Coach’s success last year we are delighted that both our UK Bus and UK Rail divisions have been awarded the British Safety Council’s highest safety award, the Sword of Honour. Completed two acquisitions in North America during the period, adding 45 school buses and 151 transit vehicles. The five acquisitions made last year have delivered an average ROIC of 22% so far. Our recently acquired paratransit planning and scheduling software provider, Ecolane, is already securing new contract wins and opening new market opportunities for us. We are preparing a bid for the Casablanca Tramway, with final submissions due in late 2016 and the contract commencing in December 2017. We are actively looking at a number of attractive growth opportunities and are due to submit a bid shortly in one new market. We remain on target to generate at least £100 million of free cash flow for the year. We expect to close the year with gearing within our target range of 2-2.5 times net debt to EBITDA. Subject to market conditions, we are planning to refinance our £350m bond shortly, and expect to achieve significant savings in interest costs. There will be a ‘double interest cost’ of approximately £2 million in 2016. 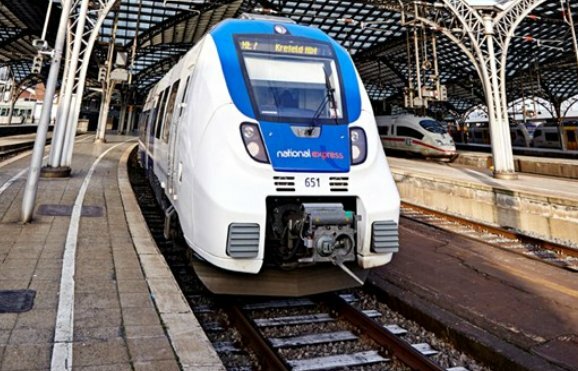 In February 2015, the Bavarian Railway Authority (BEG) announced its intention to award National Express the Nuremberg S-Bahn rail contract. 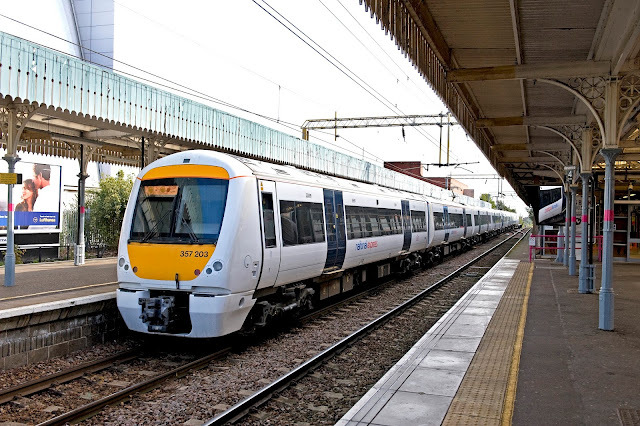 A central aspect of our bid was the introduction of new trains at the start of the contract in December 2018. However, the lengthy challenge by the incumbent operator, Deutsche Bahn, has meant that the introduction of these new trains, to significantly improve the service experienced by customers and underpin passenger growth, would be substantially delayed and could also lead to National Express incurring prohibitive additional cost. We have therefore informed BEG that it is no longer in the interest of National Express and our shareholders to proceed. The authority understands and respects our decision. We remain fully committed to the German rail market and are planning to submit a number of bids within the next year. Our prudent and disciplined approach to bidding will continue. We remain proud of our existing operations on the Rhine Munster Express and look forward to commencing the two new Rhine Ruhr Express contracts in the coming years. We hope to work with BEG again in the future.